Your wedding ceremony, while one of your lower priced items by budget, is one of the most important. We will make it sparkle, together. If you are looking for a fun, enthusiastic wedding officiant who will happily tailor his services to fit your wishes, then get in touch today. 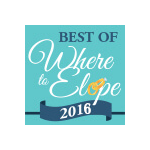 I do elopements, small weddings, large weddings, destination weddings, and much more. Whether you have a destination wedding in mind or a simple service in a backyard, you can have a personal touch with an amazing Wedding Officiant in Albany, Saratoga, Lake George, the Greater Capital District or a Beach in Islands, Rev Ron will travel. Weddings can get to be expensive when you consider the price of everything from the dress to the wedding venue, but you will find my services will suit even a small wedding budget. 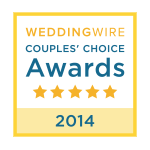 I have been a local wedding officiant for over 15 years and have had the joy of marrying hundreds of couples. 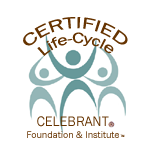 When I am not performing duties as a wedding celebrant, I am teaching Officiating for the premier school in the world: Celebrant Foundation & Institute. When choosing a wedding officiant, know that other wedding ministers will quote you a fee but will charge you a la carte for additional services (which are already included in my package pricing) and will raise the final cost of your wedding significantly. You shouldn’t have to take out a loan to have the wedding of your dreams. I officiate weddings all over Albany, NY, the surrounding communities, and even into Vermont and Connecticut. Let’s start with the free interview.